Fennel root, also known as fennel bulb, is rich in dietary fiber, vitamin C, folate (the natural form of folic acid), calcium, magnesium, potassium and manganese. This vegetable has been valued since ancient times as a breath freshener, digestive aid, and for helping expel phlegm from the lungs. Fennel contains its own unique combination of phytonutrients—including the flavonoids rutin and quercitin. Rutin is helpful in reducing weakness in the blood vessels and the resultant hemorrhages. It is beneficial in managing ailments caused by chronic venous insufficiency (condition in which blood drains inadequately from a body part), such as glaucoma, hay fever, hemorrhoids, varicose veins, poor circulation, oral herpes, cirrhosis, stress, low serum calcium, and cataracts. Rutin is also known to help relieve the pain from bumps and bruises. Rutin may be taken to help reduce serum cholesterol. It is useful in treating rheumatic diseases such as gout, arthritis, systemic lupus erythematosus (a chronic disease marked by a rash on the face with a variety of symptoms), and ankylosing spondylitis (condition affecting ligaments in the spine, involving the hips and shoulders). Rutin is also abundant in apricots, buckwheat, cherries, prunes, rose hips, the whitish rind of citrus fruits, and the core of green peppers. Quercetin is a known antihistamine. It can help reduce the inflammation that results from hay fever, allergies, bursitis, gout, arthritis, and asthma. It may lessen other asthma symptoms. Quercetin stimulates detoxification in the liver. It strengthens the blood vessels, and is useful in treating atherosclerosis (plaque build-up in the arteries) and high cholesterol levels. It may help inhibit tumor formation. Quercetin can be used to treat many of the complications of diabetes. For example, it blocks the accumulation of sorbitol, which has been linked with nerve, eye and kidney damage in diabetics; and it regulates blood sugar levels. Quercetin inhibits the growth of Helicobacter pylori, which has been implicated in the development of peptic ulcers. It can also help diminish the effects of the herpes virus, the Epstein-Barr virus (a common virus; a common cause of mononucleosis), and the polio virus. Quercetin is found in green tea, onion skins, kale, red cabbage, green beans, tomatoes, potatoes, lettuce, strawberries, cherries, and grapes. The most fascinating phytonutrient compound in fennel, however, may be anethole—the primary component of fennel’s volatile oil. 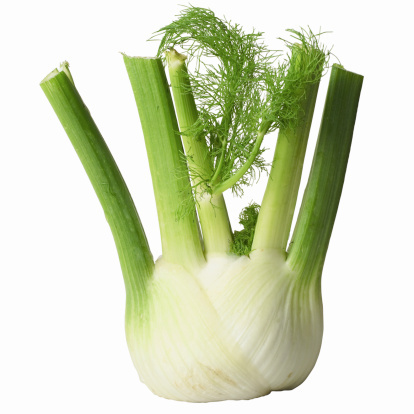 In animal studies, the anethole in fennel has repeatedly been shown to reduce inflammation and to help prevent the occurrence of cancer. Use fennel bulb in this Fermented Slaw. This entry was posted on March 9, 2015 by thrivecoach12 in Nutrient Values, Vegetables and tagged Dietary Fiber, digestive aid, fennel bulb, fennel root, flavonoids, folate, natural breath freshener, Vitamin C.